"LIVE" today is not just limited to watching sports live. The world has become a digital space and LIVE videos play an integral part in it. According to Periscope, people watch 110 years of LIVE videos daily. Needless to say, videos have become a part of social media's evolution. From pre-recorded to LIVE, we are streaming all the time. Life is digital and social media channels are a big part of it. Our latest blog is about an extension that Facebook introduced that people have been using for their personal and business profiles. It is the Facebook LIVE stream-video feature. Sure, Snapchat was the first to bring LIVE snippets, where Periscope and Facebook followed suit. But we all know that Facebook is by far the most popular social media networking site, with 1.86 billion active users, to be precise. Amplify your brand with 24 of our FREE Facebook Cover Images here! So, when Facebook introduced their LIVE feature the internet had to go crazy. But what does Facebook LIVE offer that SnapChat, Instagram and Periscope do not? The ability to tell the world what you are doing in that exact instance is an opportunity for many, especially for brands that are launching a new product or covering an important event. Because you can just go Live with a click of a button is reason enough to use this platform to cover your important events. Convenience: The best part about Facebook LIVE streaming is that you can use it from your desktop too. This feature is great for all kinds of businesses. Facebook will also keep your LIVE videos on your timeline for as long as you want. You can keep the video forever or schedule an expiration date. It also gives you the option to download the video once you finish the LIVE session & post it on your timeline, which is beneficial for businesses as this saves them the time to re-record for every social media platform. Get notified: Whenever anyone from your friends list goes live, you get a notification and you have the option to join the stream and share your input on the live session. It also gives you the option to get a reminder when your favorite page does a LIVE video. Reach: Facebook’s reach is wider and more powerful than any other social media platform. The social network has more than a billion people who access their Facebook daily. This is a golden opportunity for all kinds of businesses as it gives you the possibility of direct interaction with your customers. Now that we have familiarized ourselves with Facebook Live, let’s get started on how you can make the best use of it for your business. There are a few simple steps to follow before you decide to do a Facebook LIVE session. With these steps you will be able to create a great video in no time. Focus on quality and not just quantity: Whether you use Facebook LIVE from a mobile phone or desktop, make sure to check the quality and sound of your video. If your video and sound are not clear and audible, your audience will not watch it beyond a second. It is best to use a microphone that you can attach to your smart phone, which will add a clear voice to the video and reduce any background noise. Before you go live, do a quick test video to check for sound and clarity. Keep it short and to the point: Many brands use Facebook LIVE to simply sell and they do not give enough value to the audience. There are many ‘buy-our-product’ videos out there. You do not want your brand to be just another one in the lot. Give consumers value for their time. Your main aim when doing a LIVE video is not to just get views; it is to see how many people have engaged with your video and watched it till the end. Do not make your video just about your brand and your product. Keep it light and entertaining. Add a few jokes, if you like. Conceptualize the video in such a way that people look forward to seeing more from your brand. Don’t Overlap: With videos being more popular than page posts, many brands commit the mistake of posting LIVE videos over and over again. This does not result in engagement and can annoy your customers. Use LIVE videos as an opportunity to share stories of your brand and interact with your audience in a two-way communication pattern. For example, if a celebrity walks into your store/restaurant, it is something to be shared with your audience. 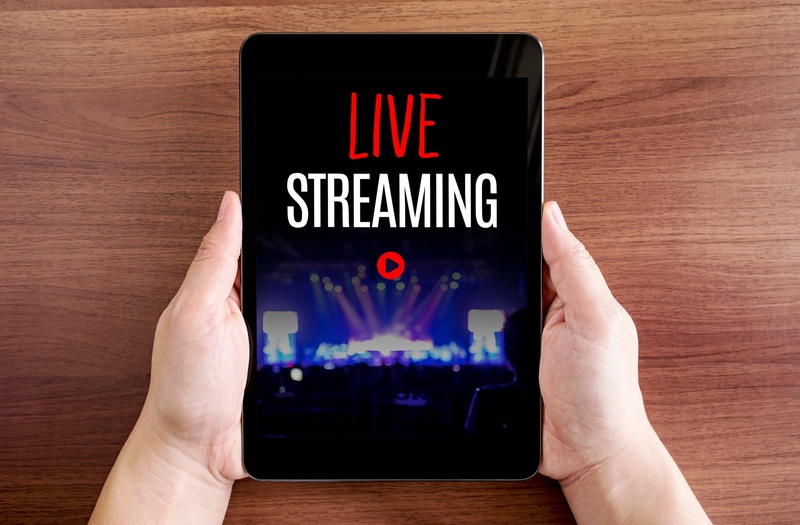 Now that you've been introduced to the basics of LIVE videos, you can get started. Think of ideas you want your video to revolve around and keep it simple, light and entertaining. Remember, a good story is the key to great videos. Keep streaming! Are you seeking a professional for your social media marketing? Contact us here for more information. Amplify your brand with 24 of our FREE Facebook Cover Images below!